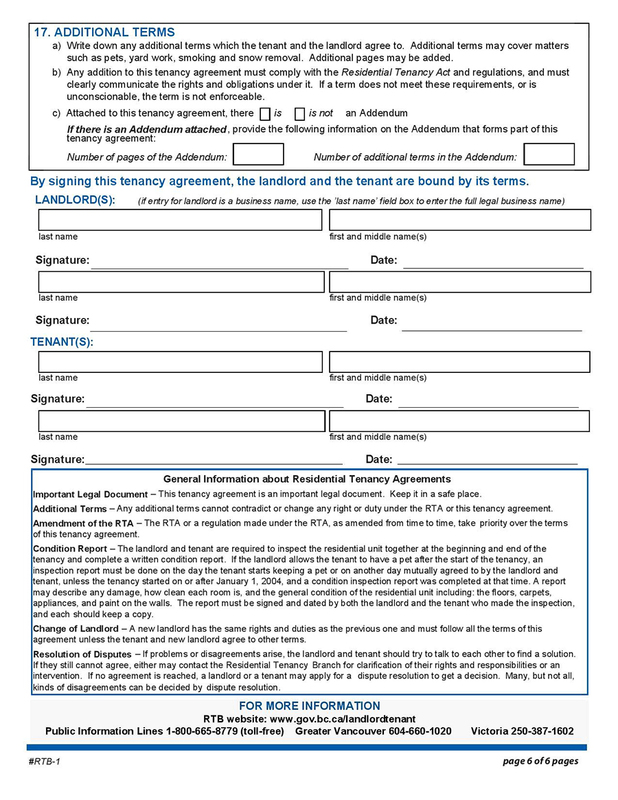 Lenders require a separation agreement to verify that there is a legally binding contract in place. When couples decide to divorce, financial assets accumulated while together must be equitably divided and in many cases, the most substantial shared asset is the matrimonial home. While each spouse is usually entitled to 50% of the accumulated home equity, if the property isn’t sold, one side will almost always buy out the other. Since no lender will provide you with a mortgage until all of your future financial obligations can be clearly understood, complete your separation/divorce agreement as a matter of urgency. 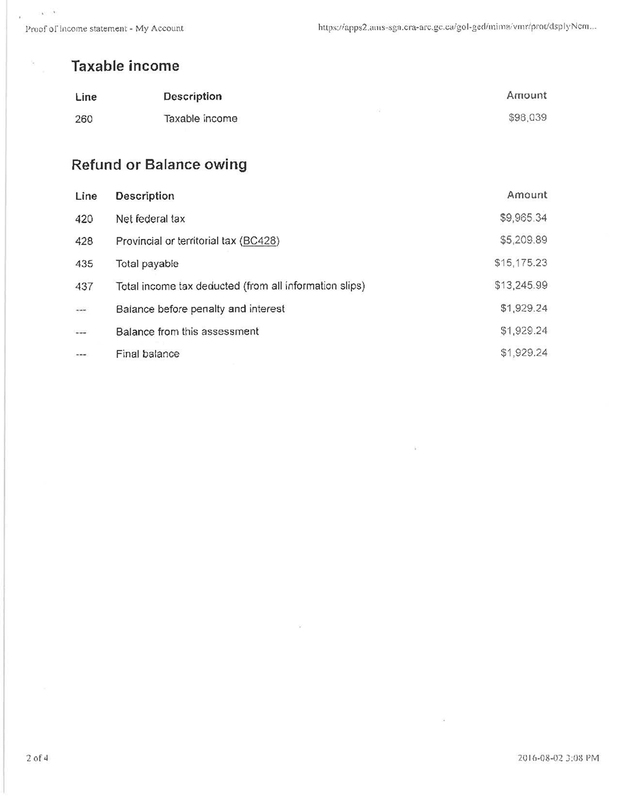 A T1 general is the document that’s completed by whoever (an accountant, yourself, H&R Block) completes your tax return for submission to the Canada Revenue Agency. 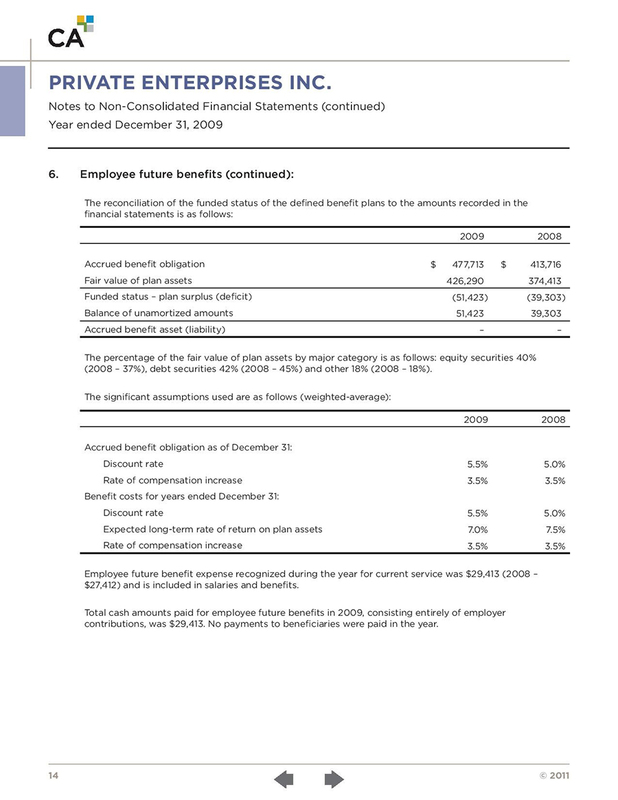 This document is usually requested for self-employed clients and clients that receive bonuses as part of their pay. Individuals with tax payable during a calendar year must use the T1 to file their total income from all sources, including employment and self-employment income, interest, dividends and capital gains, rental income and so forth. The T1 and any balance owing for each year are generally due by the end of April of the following year. Why do Lenders require T1 Generals? Traditional lenders usually require 2 years T1 General Tax Returns if you are self-employed. 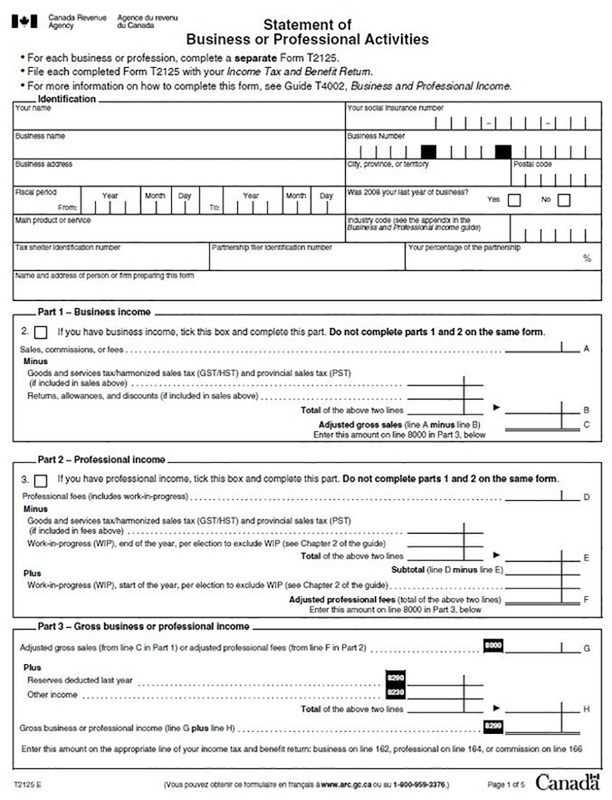 This will confirm that you are filing taxes as a self-employed individual. Where can I find my T1 General? 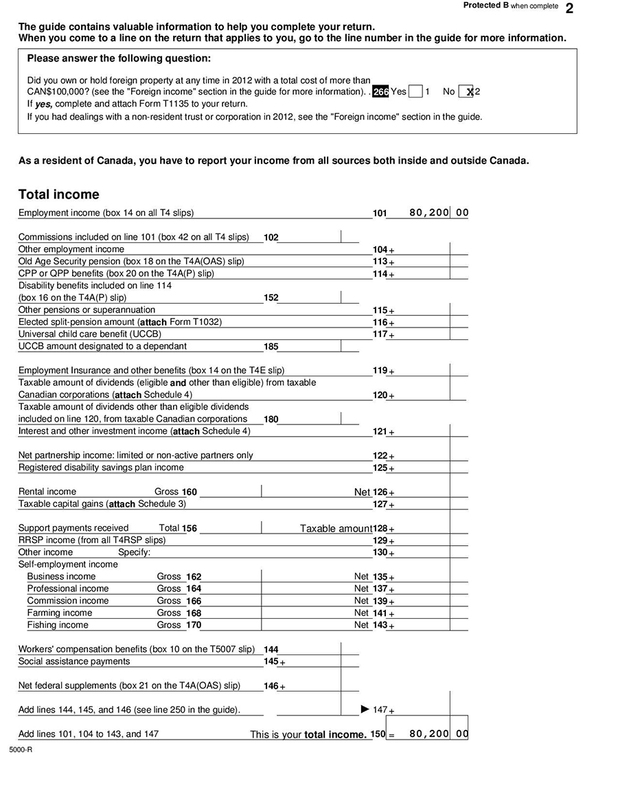 The T1 General should be in your tax file, but can also be received or completed through an accountant, tax company(H&R Block) or by the individual for submission of their personal taxes to Canada Revenue. 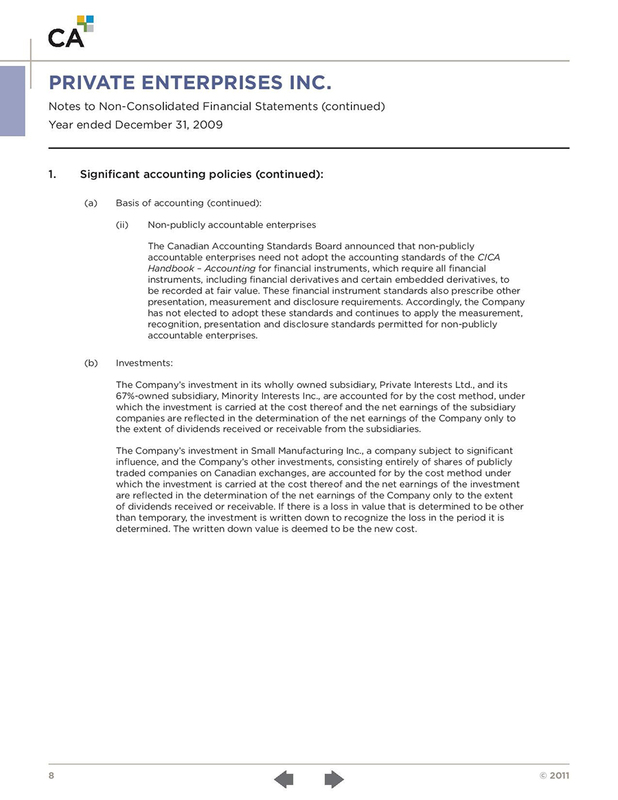 What is a Statement of Business Activities? 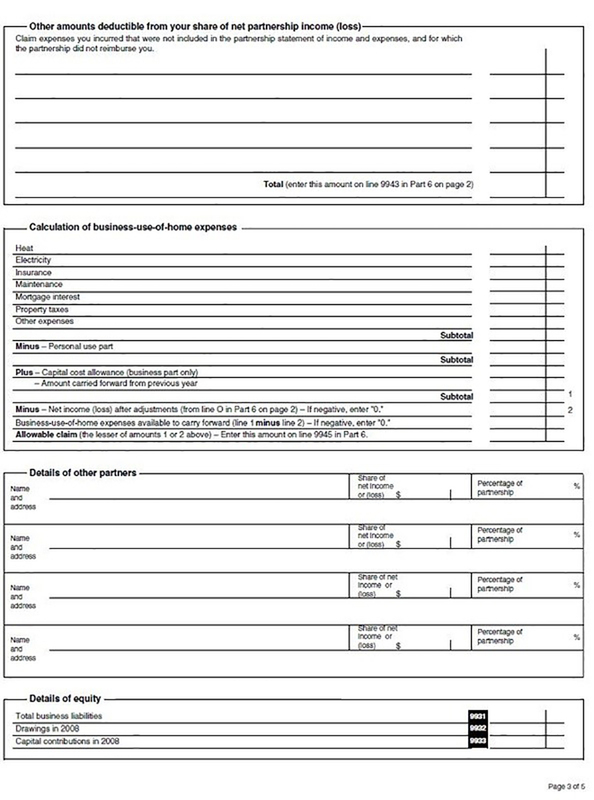 The statement of Business Activities (T2125 tax form) is used to calculate business income or income from self-employment. You use it if you’re a sole proprietor or are in business partnership and can calculate your gross and net income after deducting business expenses. If you’re self-employed and control the time, place and hours you work, supply your own equipment and tools, make a profit or incur a loss and cover all the business costs, the T2125 will be used to report income and expenses. 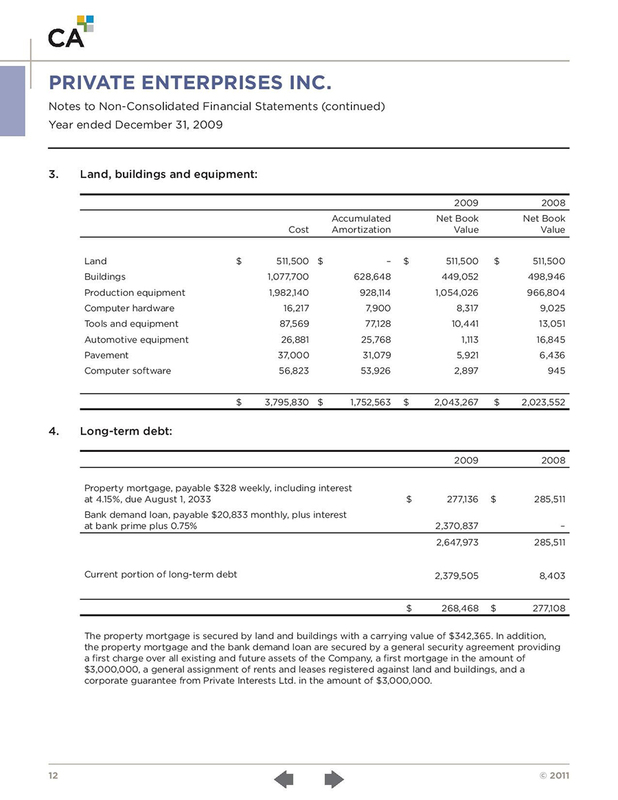 Why do lenders require a Statement of Business Activities? 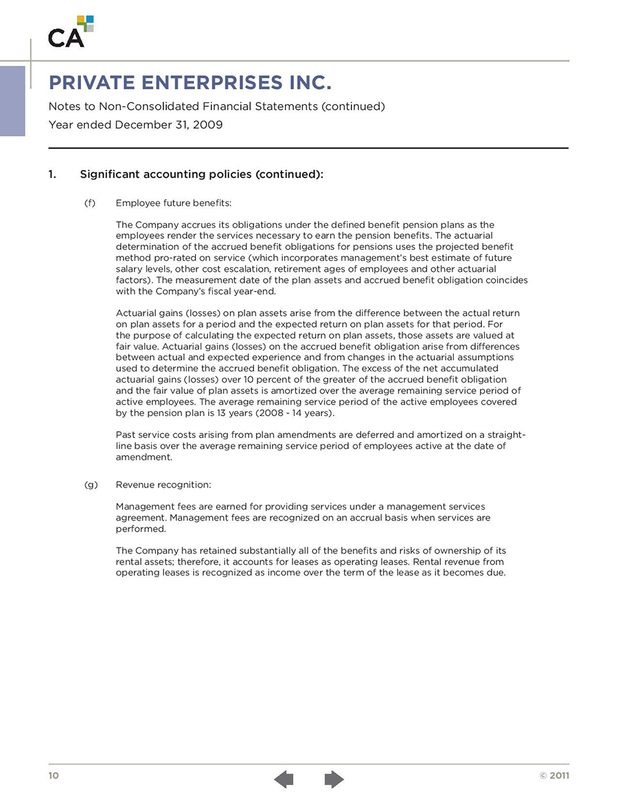 A Statement of Business Activities identifies which write-offs could potentially be added back to an applicant’s income. 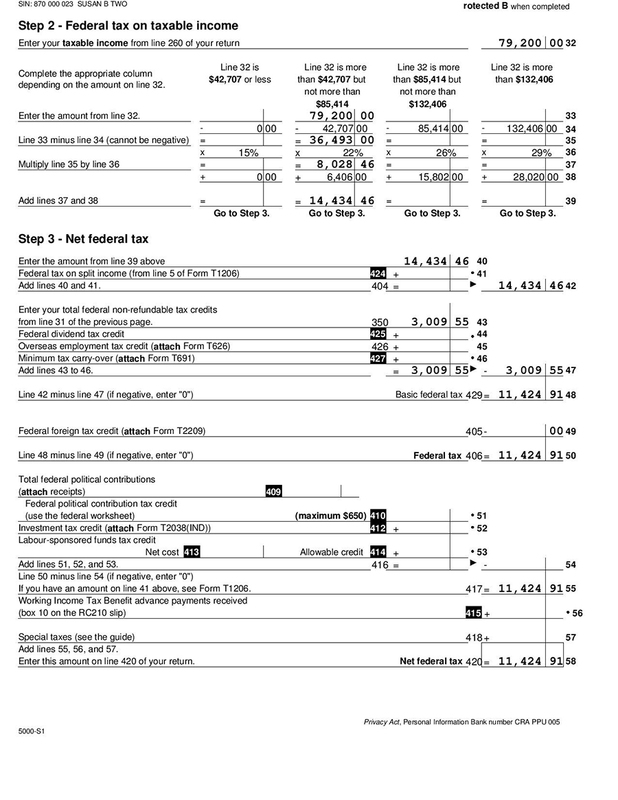 You calculate your gross income and your net income after deducting all your business expenses like advertising, rent, home office and motor vehicle expenses. 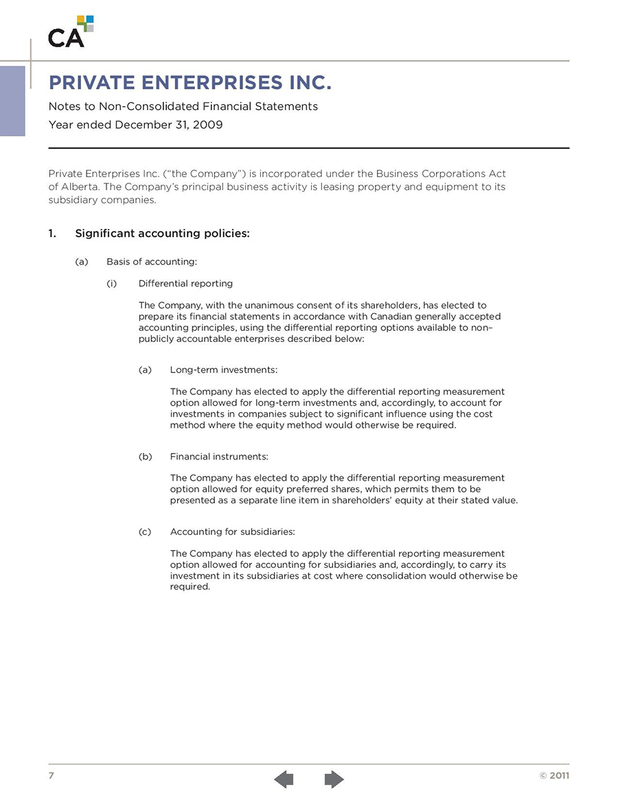 Where can I find my Statement of Business Activities? 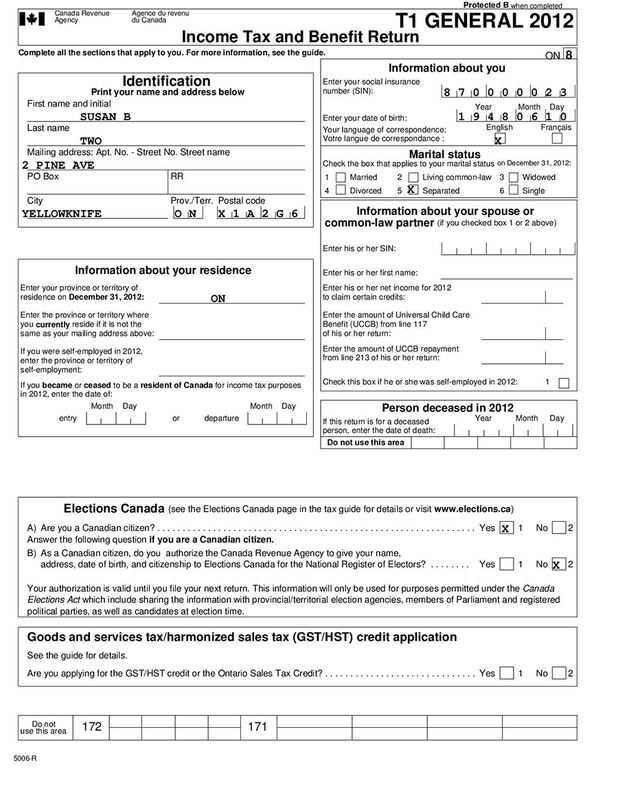 T1 General should be in your tax file but can also be received or completed through an accountant, tax company or by the individual for submission for their personal taxes to Canada Revenue. PAY STUB – It has to reflect your first name, last name, date of pay, and employer’s name. A payslip, pay stub, pay advice or sometimes called a paycheck, is a document an employee receives either as a notice that the direct deposit transaction has gone through, or is attached to the paycheck. It will reflect your earnings for the specified pay period as well as any deductions taken off. 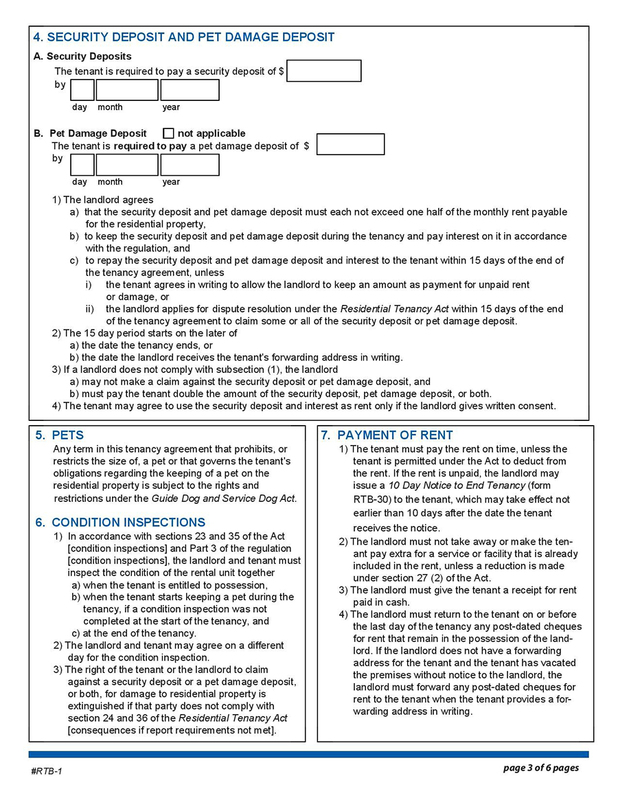 Why do Lenders require a Pay Stub? When applying for a loan, your lender will need proof of income. Lenders want to ensure that you have the financial means to pay off your new mortgage. 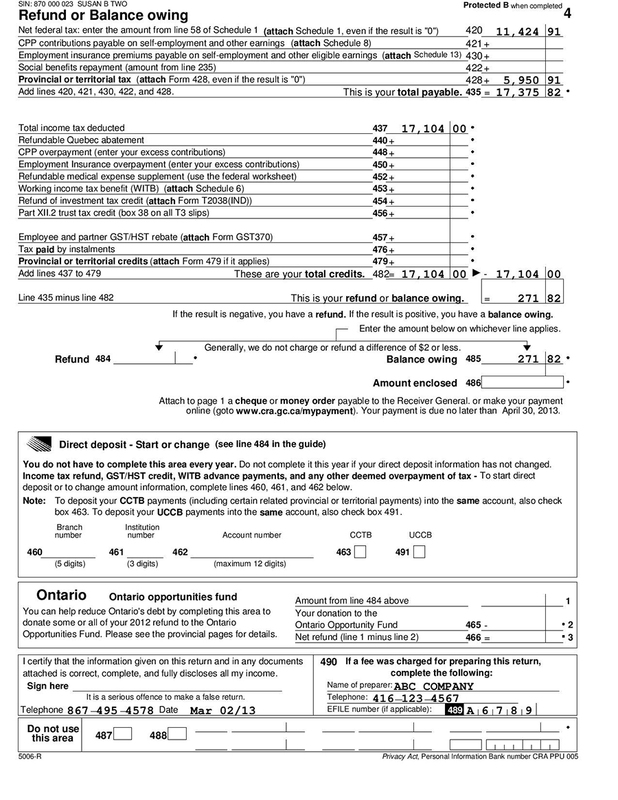 As a result, borrowers are generally required to submit current pay stubs from the past 2 – 3 months. Where can I get my Pay Stub? 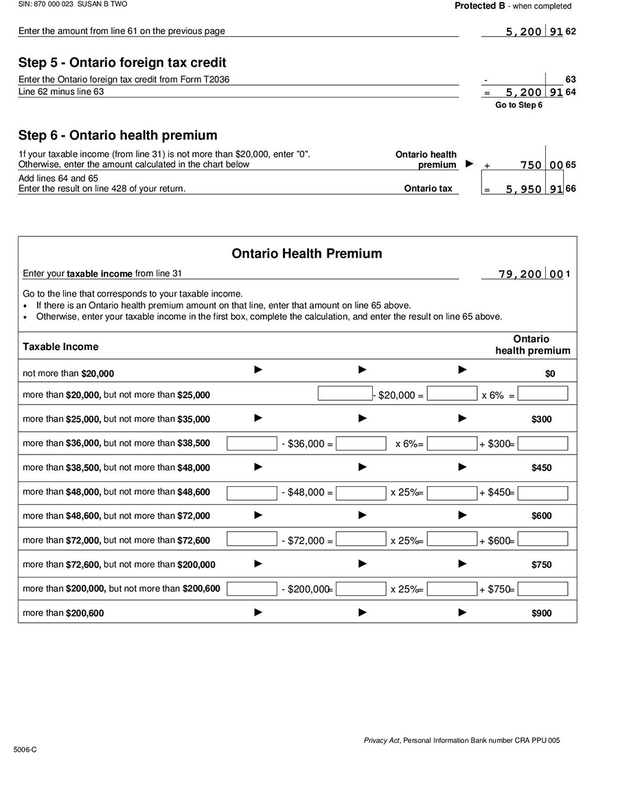 Your pay stub can be obtained from your employer and must be recent (within the last 30 days). If you need a copy, contact your employer’s human resource or payroll department and ask about the steps required, to obtain copies of your pay stub. 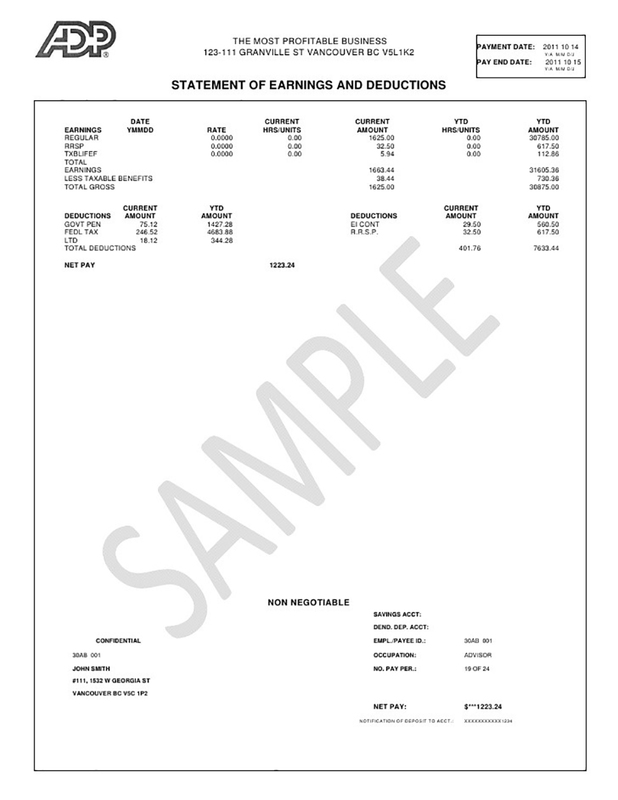 Some employers might charge a fee for copies, while others provide this service for free depending on the number of stubs requested. An Agreement of Purchase and Sale is a written contract between a seller and a buyer for the purchase and sale of a particular property. In the Agreement, the buyer agrees to purchase the property for a certain price, provided that a number of terms and conditions are satisfied. The process begins when the purchaser makes and offer, which is irrevocable for a certain time-period. If there are no counter-offers, the Agreement becomes a legally binding agreement if the offer is accepted by the seller, within the time-period set by the buyer. 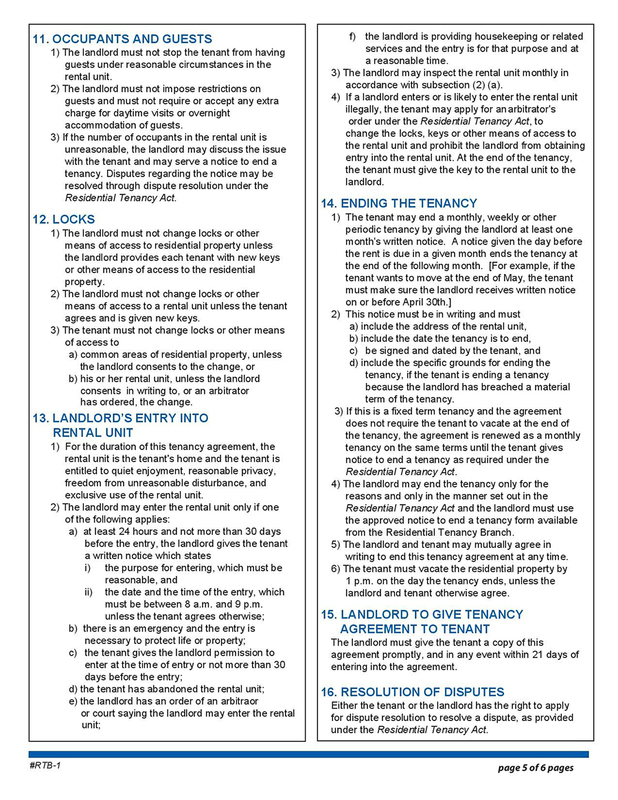 Although these forms contain standard terms and conditions, the Agreement can be changed if both the buyer and the seller agree and initial any additions or deletions. 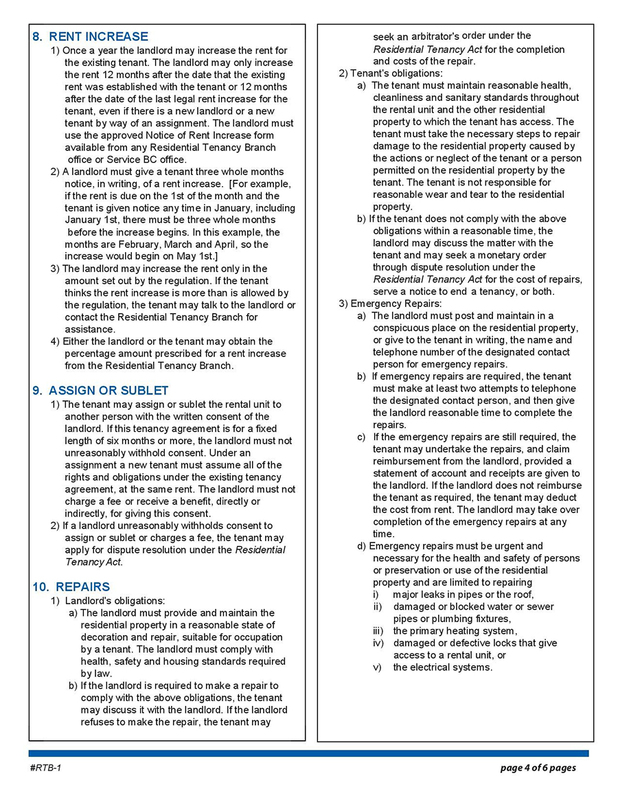 What should be included in an Agreement of Purchase and Sale? Some of the most important terms deal with the property purchase price, terms of payment, how the buyer will receive the property, what property features are included in the price and title clearance. 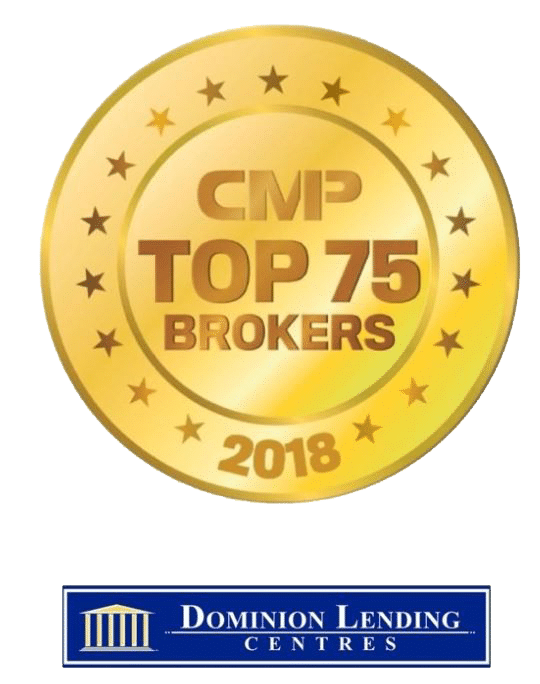 Since signing the agreement is a crucial step in purchasing / selling a property, a lawyer can be of great help in ensuring the agreement is properly drafted. 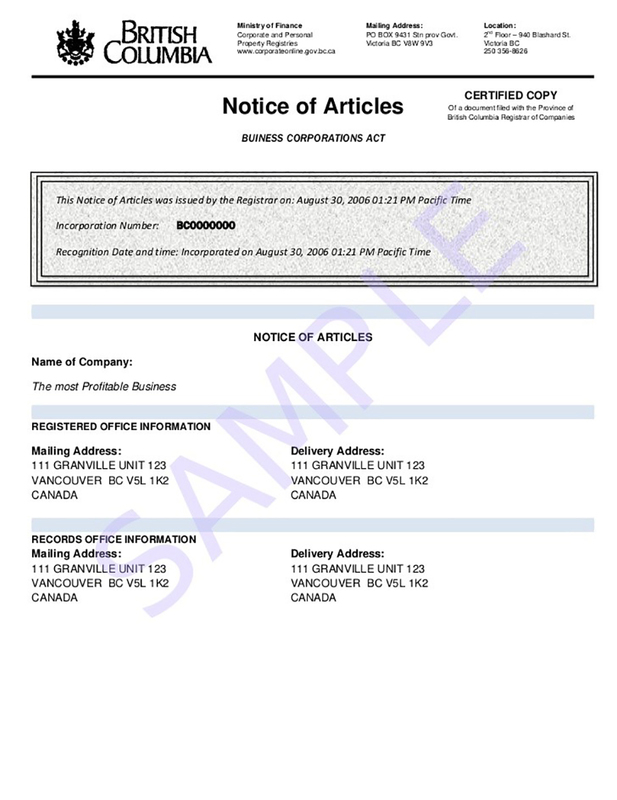 Companies are incorporated in BC according to the provisions of the Business Corporations Act. In other words the act of incorporation gives life to a legal entity known as the corporation, commonly referred to as a ‘company’. A company can acquire assets, go into debt, enter into contract etc. Articles of Incorporation is therefore a legal document filed a provincial or territorial government, which sets out a corporation’s purpose and regulations. 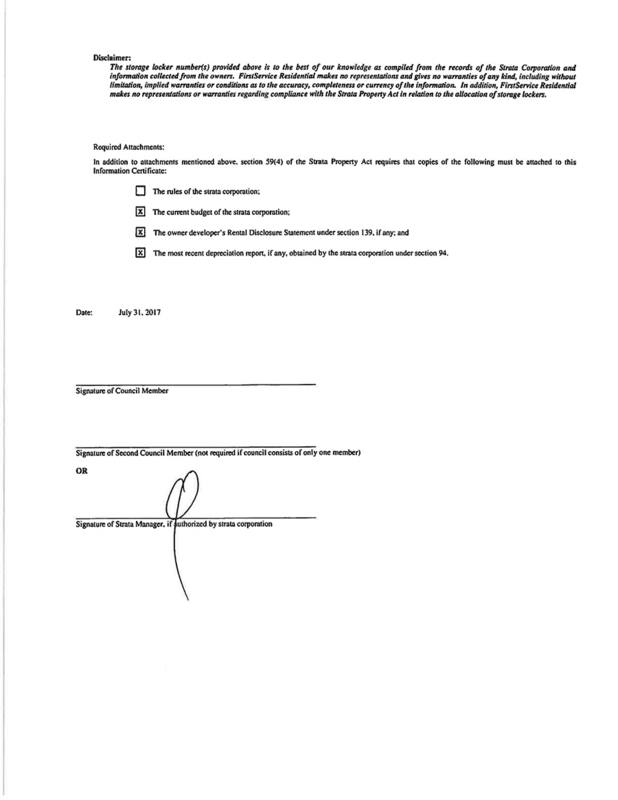 This is one of the documents necessary to the incorporation process. The full legal name of the corporation. The full names and addresses of each of the founding directors. 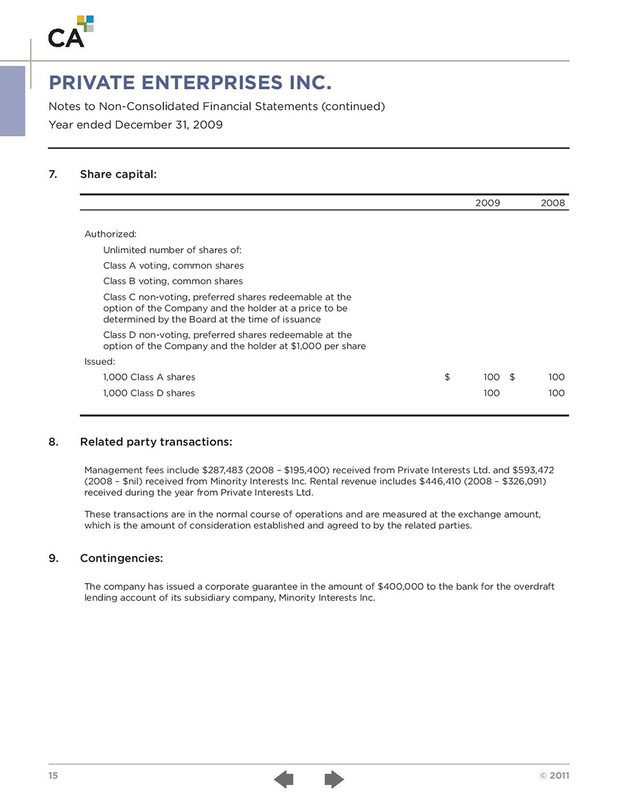 The classes of shares and the maximum number of each class of share that can be issued. Shares are typically given descriptions such as Common, Class A, Class B, Preferred, or other such designations. Restrictions (if any) on the issue, transfer, or ownership of shares. Provisions or restrictions on the borrowing powers of the directors. For example: “The Board of Directors is authorized to borrow money or mortgage property as security for any debt or liability of the Company”. Additional articles as required, such as proxy voting requirements, majority voting rules, etc. Full names and signatures of the incorporators. 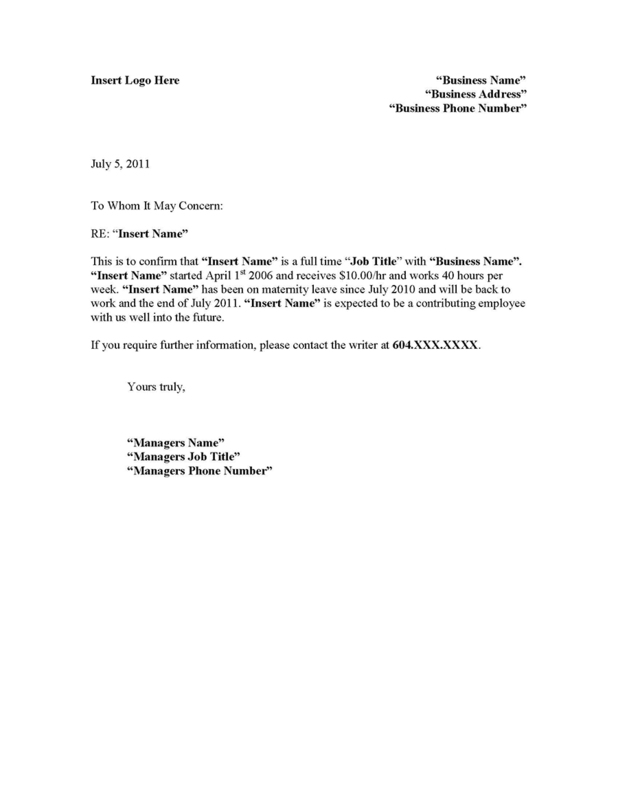 What is a letter of Employment / Job Letter? 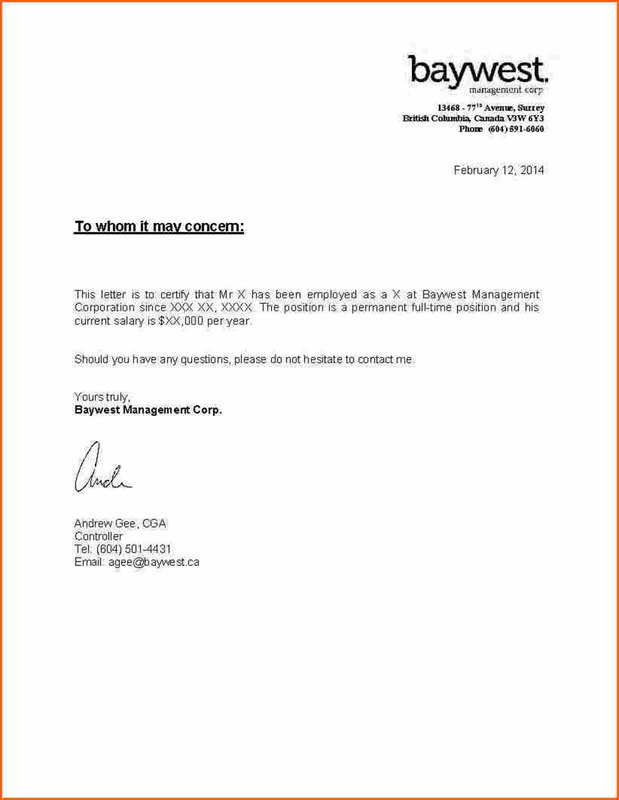 A letter of employment is signed by an authorized representative of your employer stating that you are currently employed there and providing basic information about, what work you do, how long you have been working for them, how much you make and other information typically requested by a potential creditor. Why do Lenders require a Letter of Employment? Lenders verify employment as part of the loan underwriting process, usually well before the projected closing date. 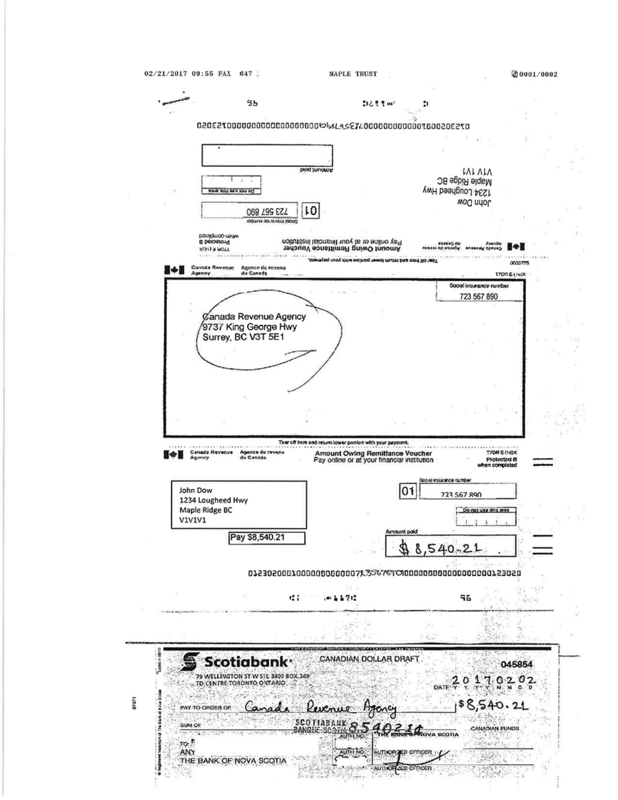 The lender might confirm this information with your employer via fax, mail or telephone call. Your letter should therefore include a contact name and phone number. Where can I get a Letter of Employment? A letter of employment can be obtained by making a simple request to your employer. They usually have a template on hand, so it should be a quick process. 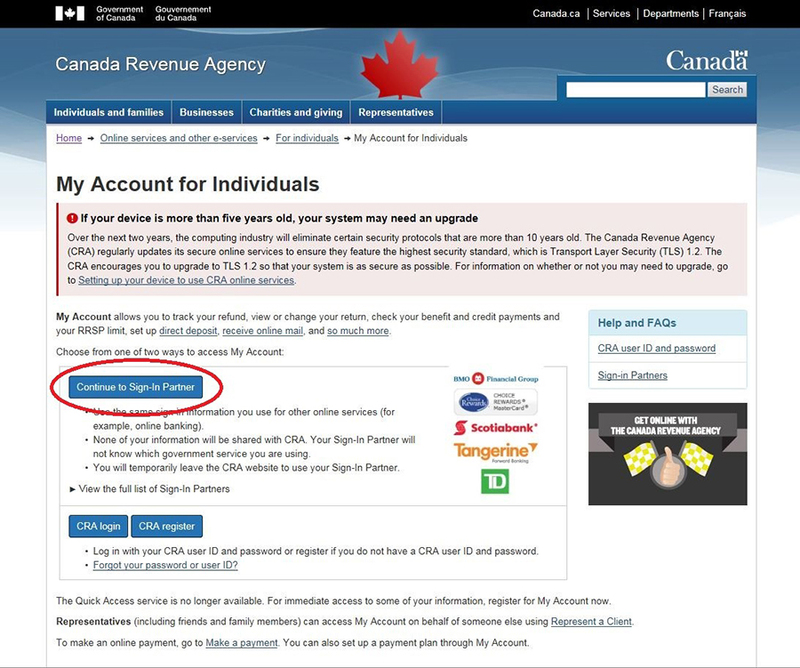 What is a Canada Revenue Agency (CRA) – Proof of Payment? 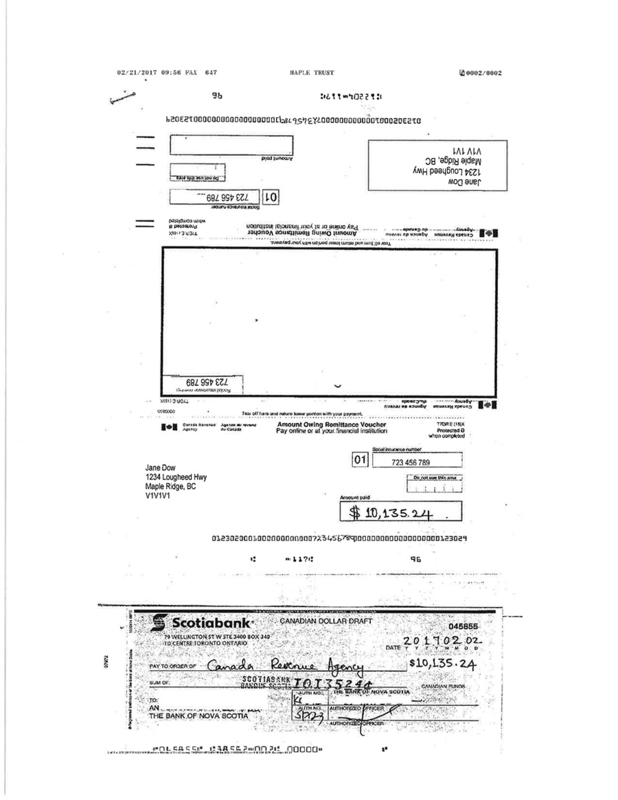 If you owe monies to Canada Revenue Agency your lender will require proof that you’ve paid the money to CRA. Having money owing to the Canada Revenue Agency is a sure way to have your mortgage application with a lender turned away. Why is that? The CRA is quick to act and if your debt to them is significant or severely overdue they will attach a lien to your home. Needless to say, a major financial institution do not want to see that you owe the government money, let alone have a lien against your property. What is a Notice of Assessment (NOA)? 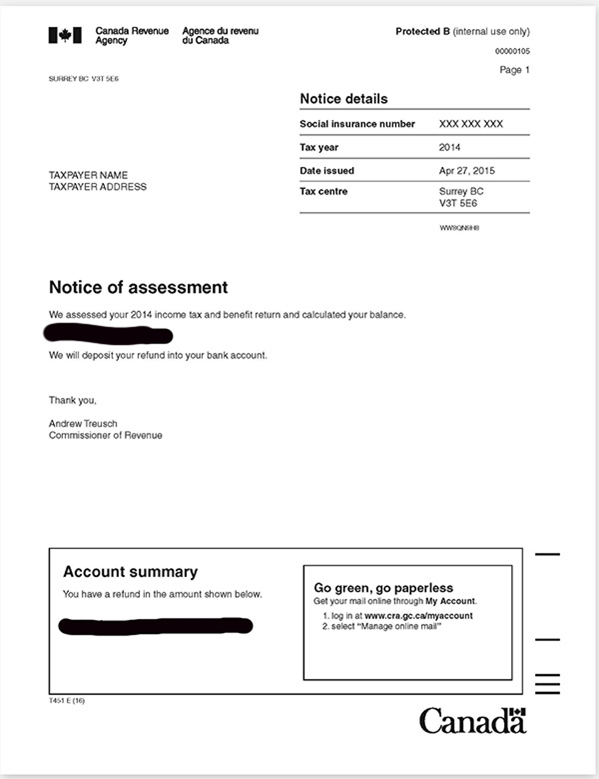 A Notice of Assessment or NOA, is like a receipt for filing your tax return. 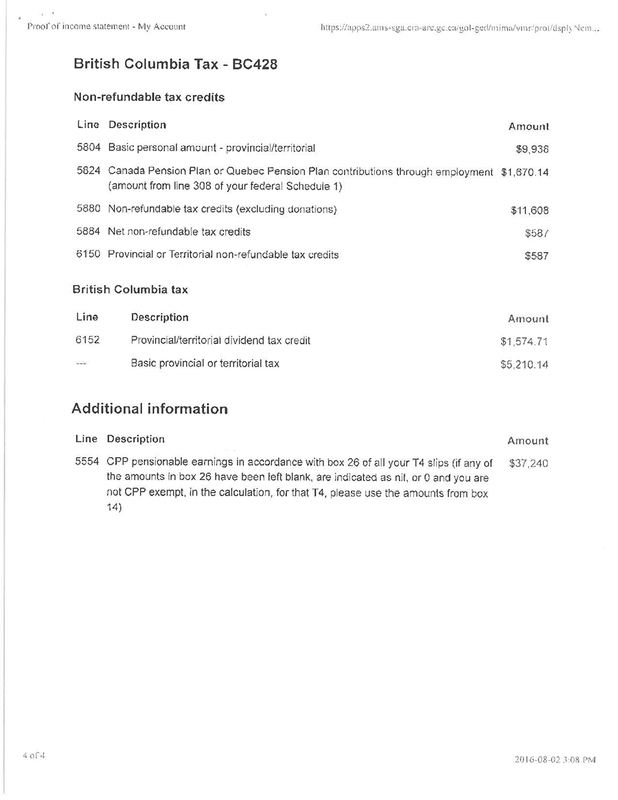 It is a statement from the Canada Revenue Agency notifying you of the amount of tax you owe, if any, the amount of tax already paid, if any, tax credits received and contributions to a Registered Retirement Savings Plan. The lender will require all the pages of your NOA. 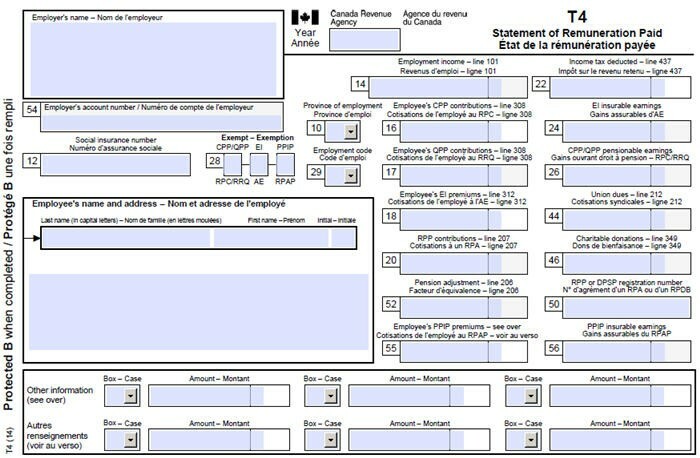 It will include your full name and last name, SIN number, tax year, and tax centre clearly indicated. Why do Lenders require NOA’s? 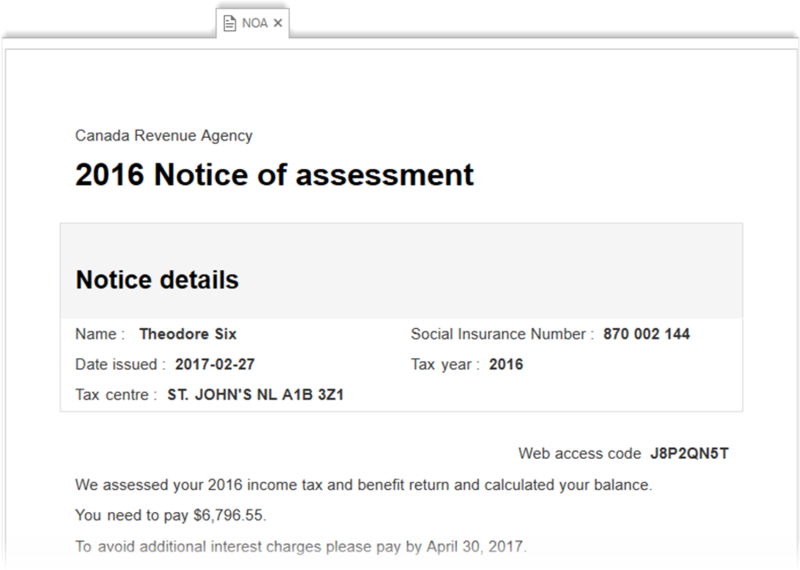 They require the NOA to confirm your income (shown on line 150 of your return) or to confirm you have no outstanding taxes. Where can I find my NOA? 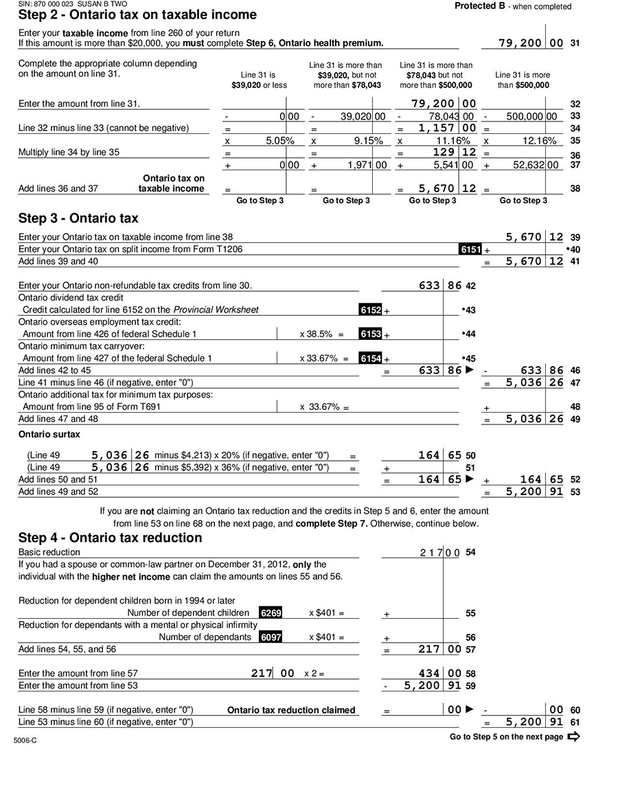 Customers can obtain the updated version from their ‘CRA My Account’ by selecting ‘Proof of Income Statement’. 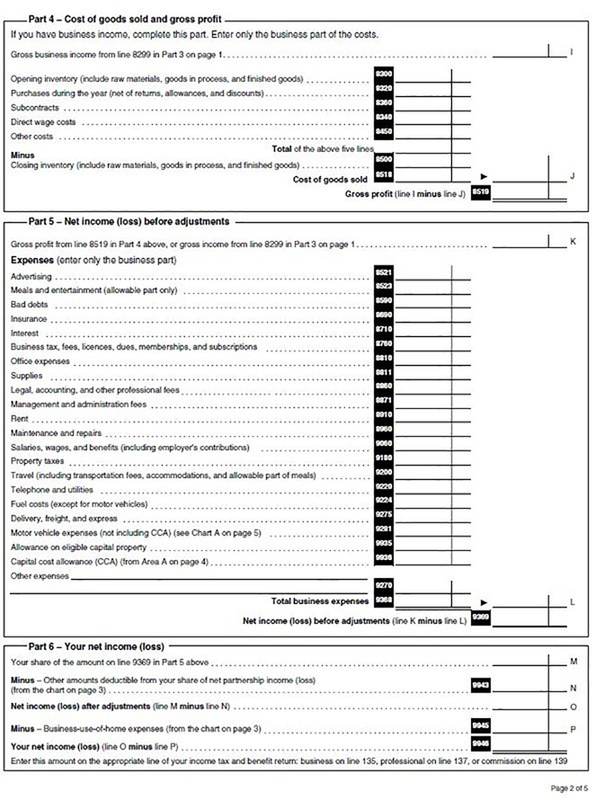 They can print by selecting the 3rd option from the bottom (Proof of income statement (Option ‘C’ print) on the left of the page to print their tax assessment/reassessment with all the required personal information. 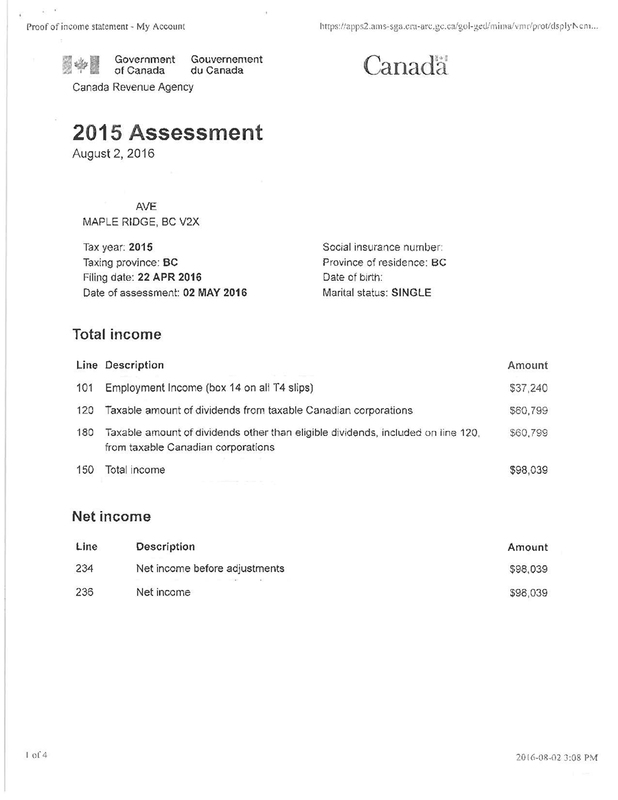 What is Confirmation of Rental Income? Why do Lenders require a Confirmation of Rental Income? 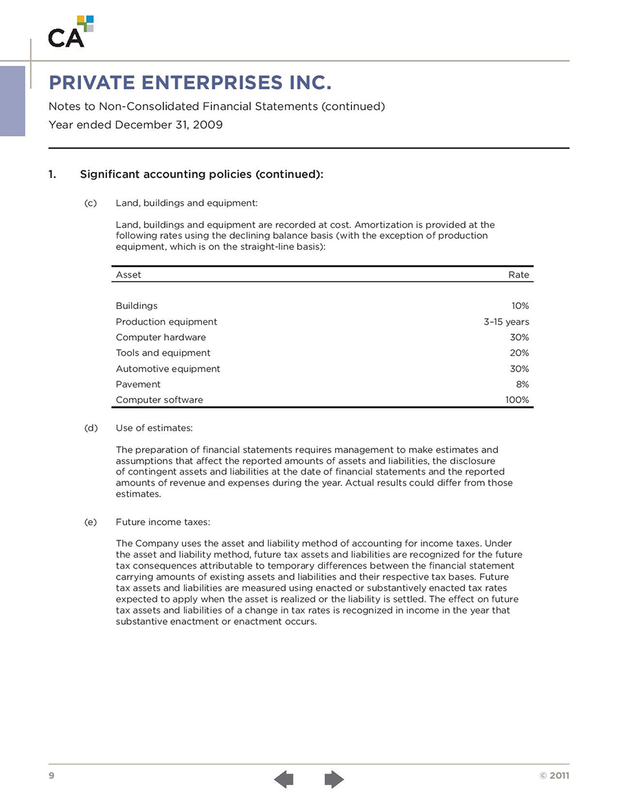 Lenders require confirmation that the rental income declared on the application is accurate. 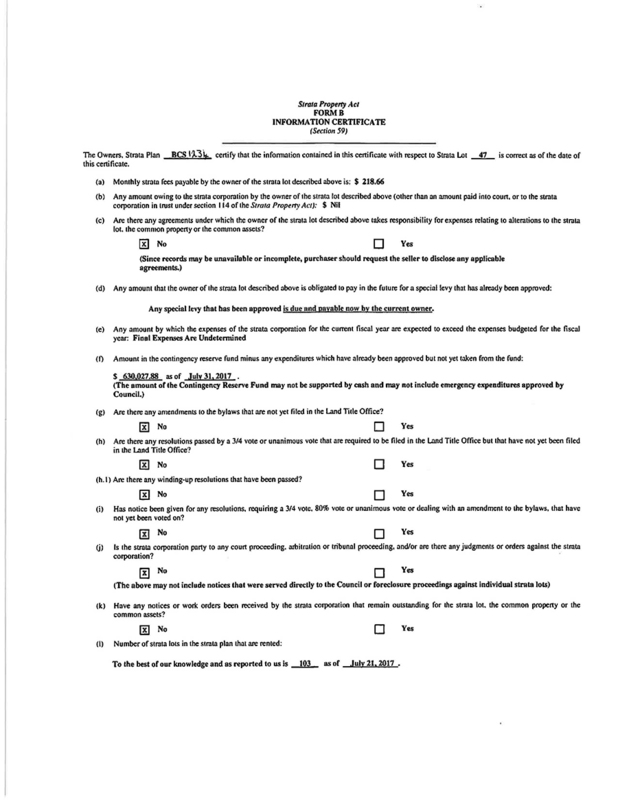 Where can I find my Confirmation of Rental Income? 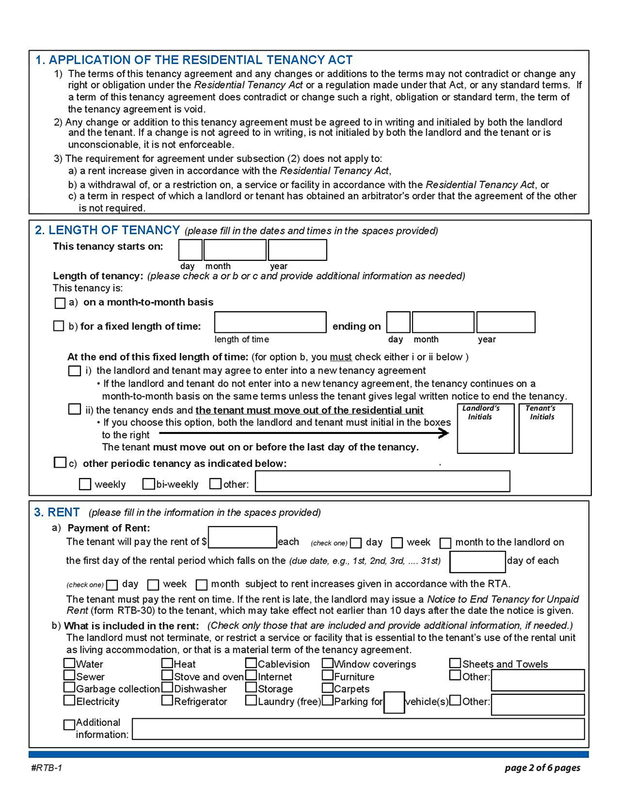 Your confirmation can be obtained from your tax documents for your T1 General by scanning your current Tenancy agreement. 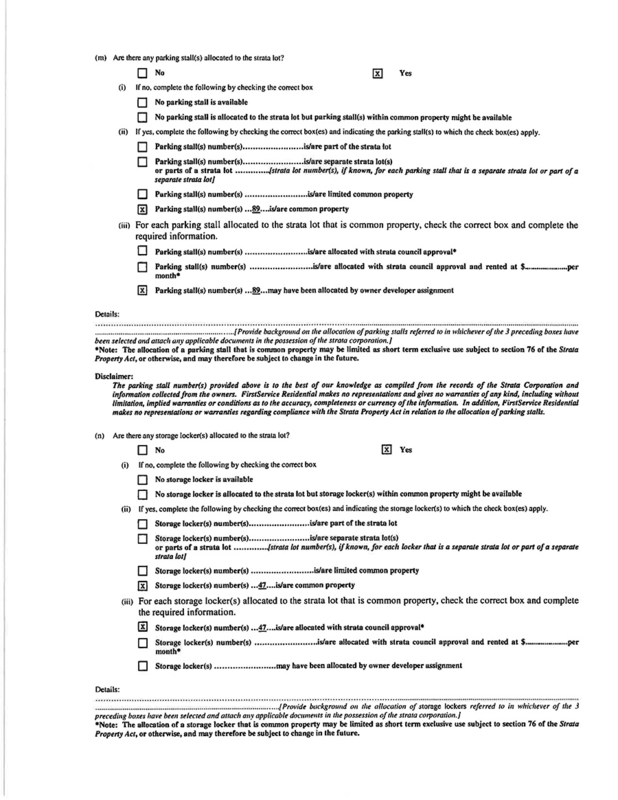 If you are a council member, you should never sign a Form B. This should always be done by the property manager. 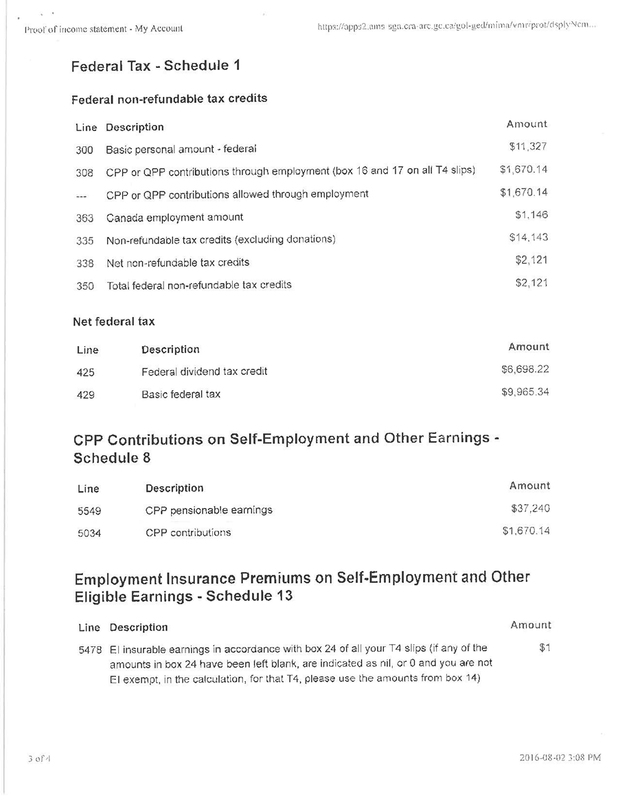 If you are a salaried employee, the T4 tax slip is used by your employer to indicate what you have been paid before deductions, as well as your CPP, QPP, EI contributions as well as other amounts deducted from your pay cheque during the tax year. Why do Lenders require T4’s / T4A’s? 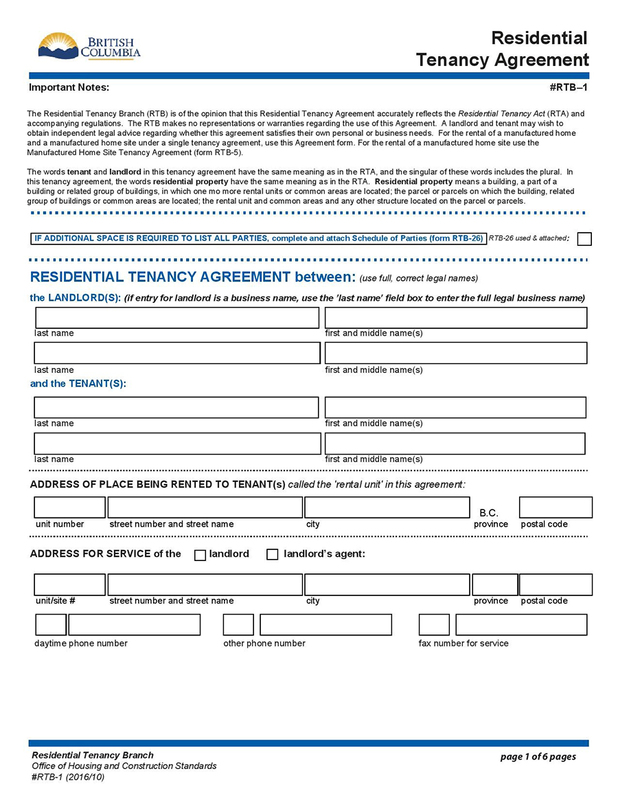 Most lenders require your T4 to verify your past employment and earnings. How can I get my T4/T4A? 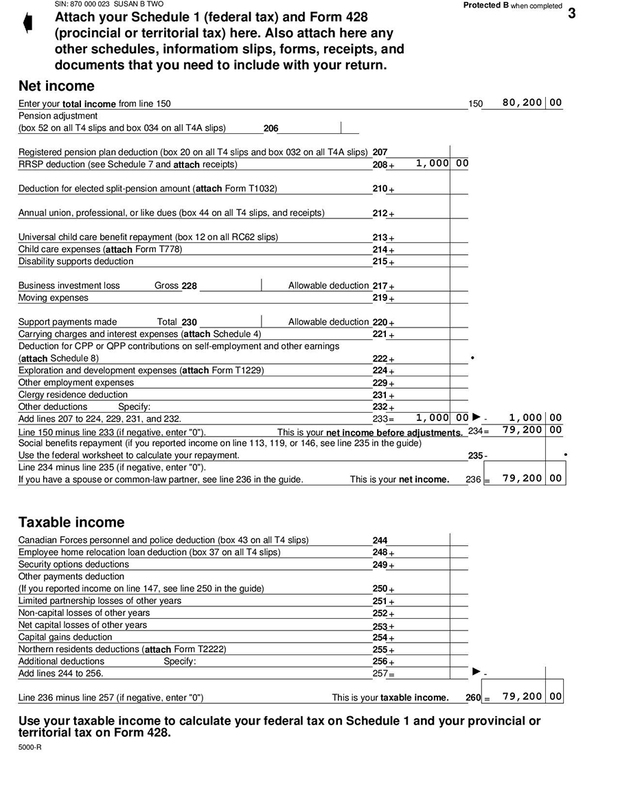 Your T4 would be included in your Tax File. 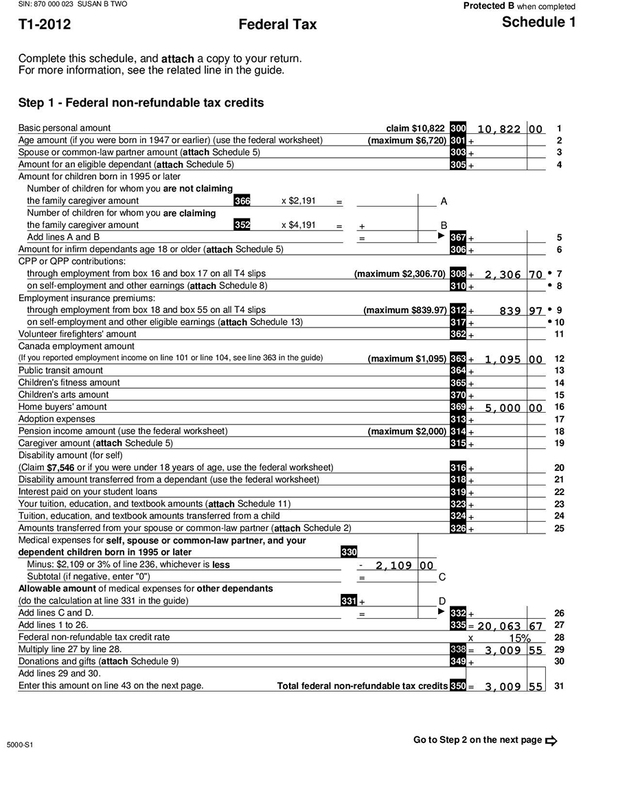 If you need a T4 slip for the current tax year, only your employer can provide it to you. 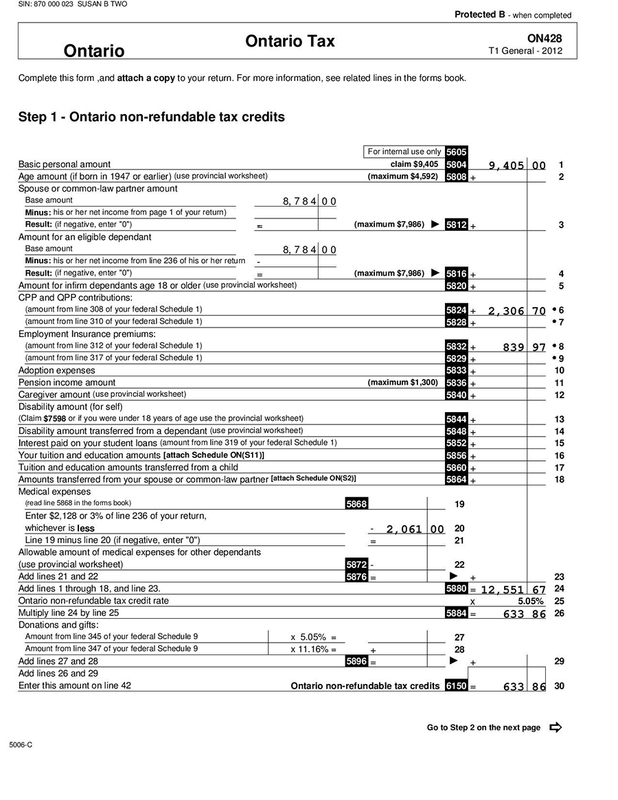 For previous tax years, however, you can request a copy from the Canada Revenue Agency by calling 1-800-959-8281. 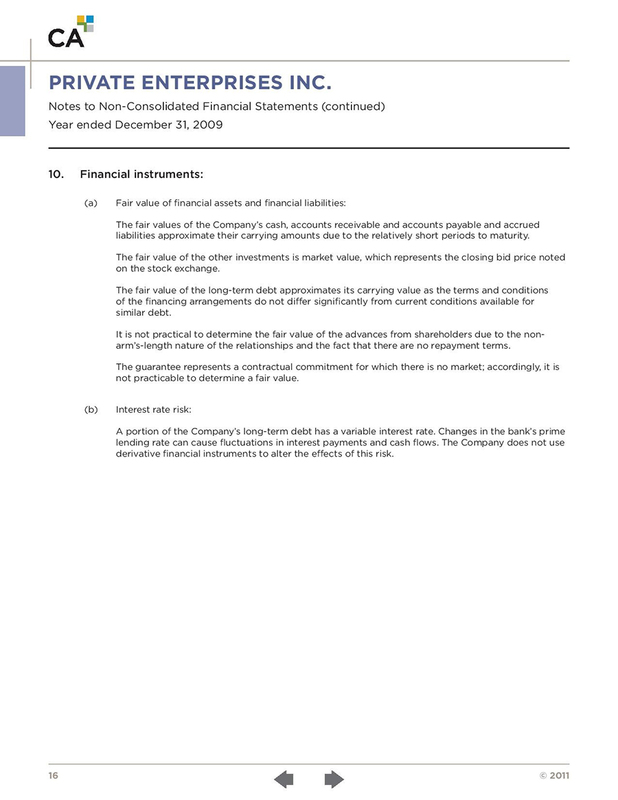 Financial statements include the balance sheet, income statement, statement of changes in net worth and statement of cash flow. 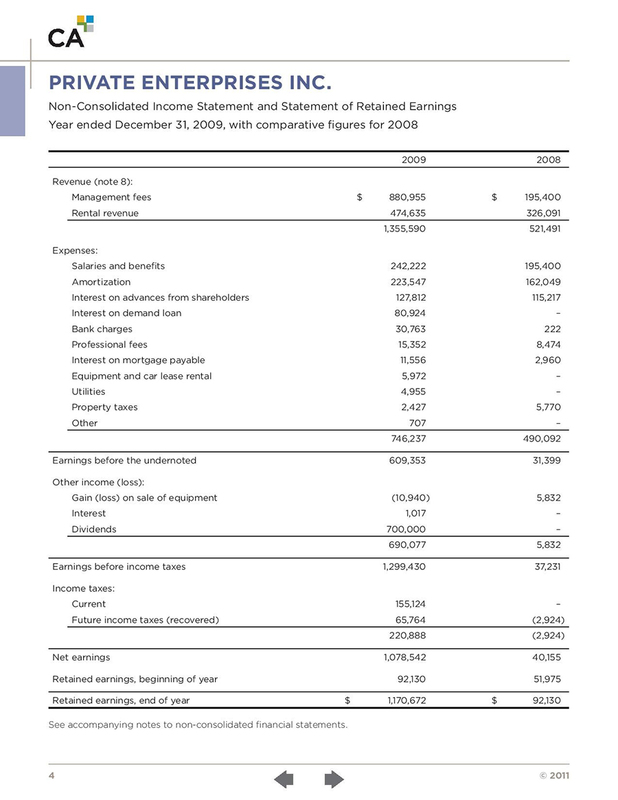 Simply put, the income statement measures all your revenue sources vs. business expenses for a given time. 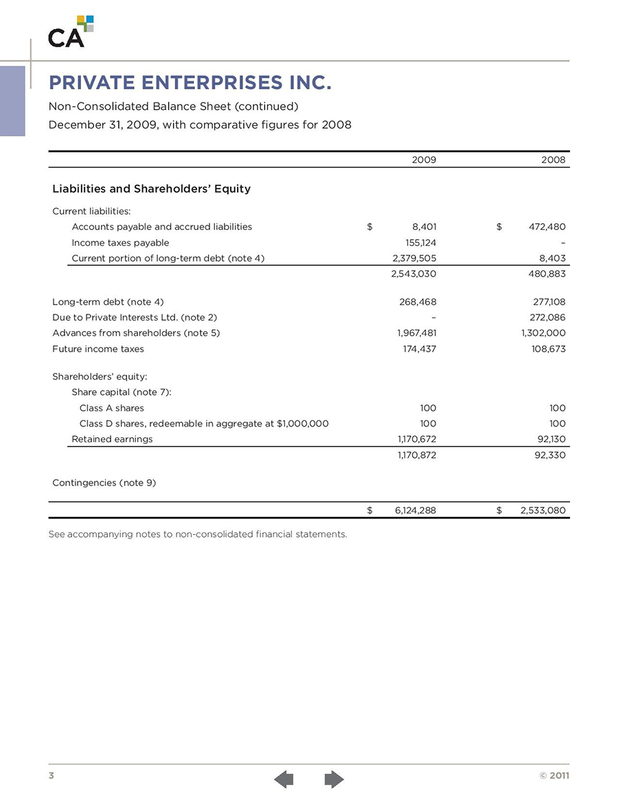 Balance sheet, which shows firm’s assets, liabilities, and net worth on a stated date. 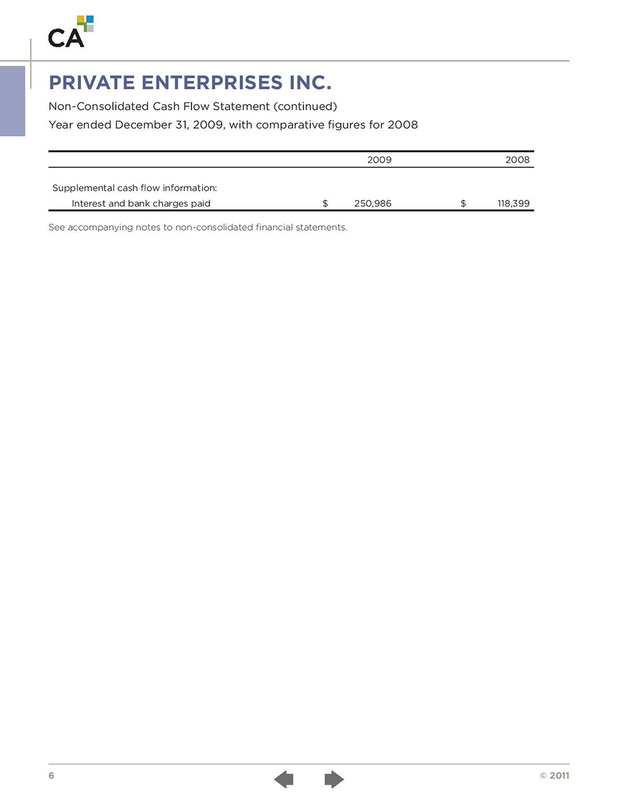 Cash flow statement, which shows the inflows and outflows of cash caused by the firm’s activities during a stated period. 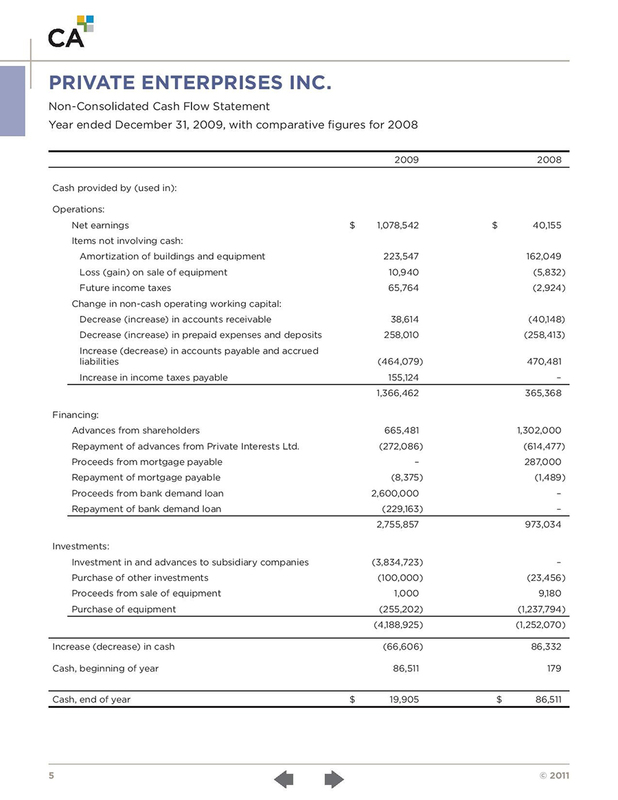 Why do Lenders require by Business Financials? Because of the stricter rules implemented by the regulator of the country’s chartered banks borrowing money to buy a home has become harder for the self-employed workers. A high credit score is no longer sufficient when applying for a mortgage. In the summer of 2012, the Office of the Superintendent of financial Institutions introduced Guideline B-20, which required federally regulated banks to tighten their processes for approving mortgages and home equity lines of credit. As art of B-20, banks must now look more closely at income before approving a mortgage application. 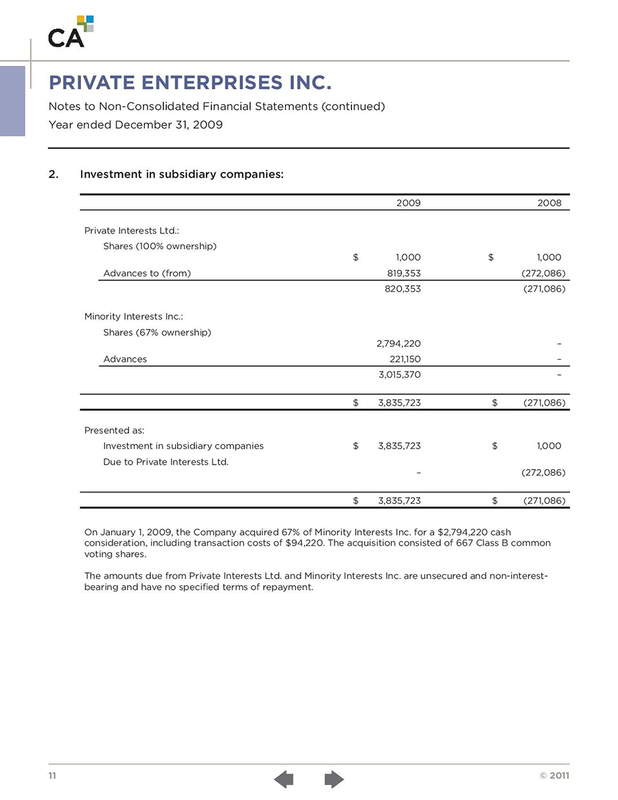 Where do I get my Business Financials? 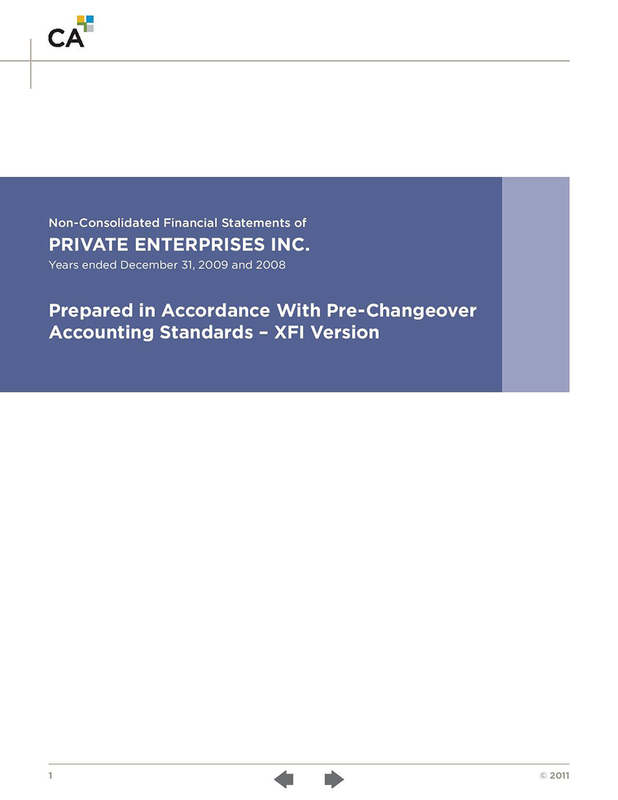 The accountant or bookkeeper of your company should be able to give you copies of these. You are in control of the time, place and manner of performing your activities. Your employer decides where, when and how the work is to be done, establishes your working hours, determines your salary, supervises your activities and assess the quality of your work. 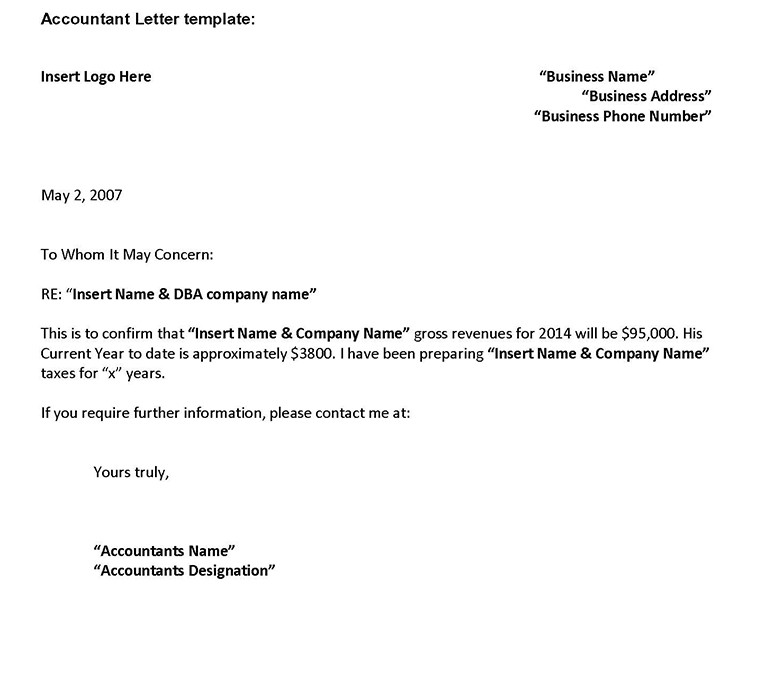 What is an Accountant Letter? Your income must be verified by financial statements that were prepared by a professional, accredited account. 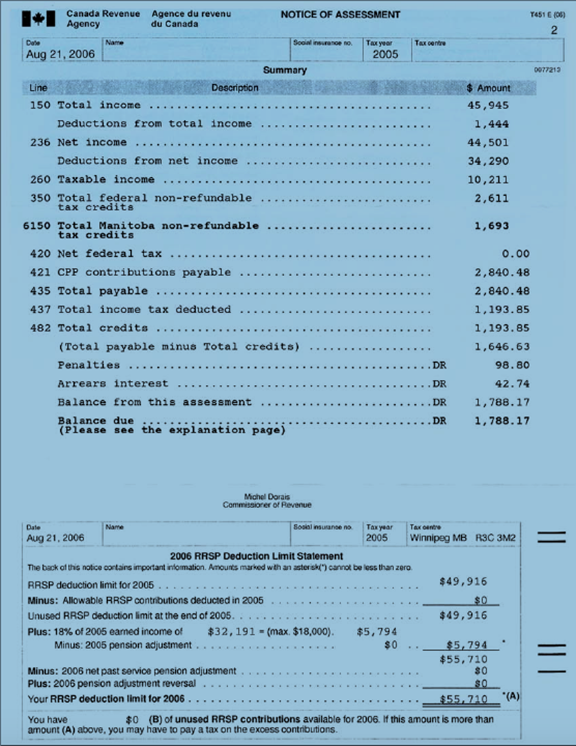 T1Generals and NOA’s should be used to verify the income on the financial statements. Where can I find my Accountant Letter?